Elder Flower releases new single ‘Capital Letters’! 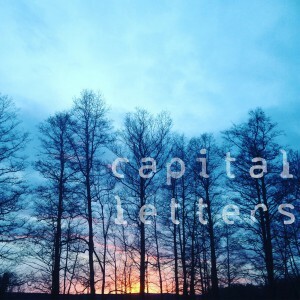 Today, Elder Flower release their brand new single “Capital Letters” and yesterday kalle did an interview with Arvika Musik which you can read here (in Swedish). Just like letters, composed by fragments building sentences and meaning, Capital Letters came to be. Relations, in a way, are kind of the same: fragments and pieces of another person that’ll try to paint you the whole picture. Constant in motion, constantly evolving. Still, there’s an inevitable end to it. As time she hides future tests, my hands searched restlessly for something to grab on to. Piece by piece i transcribed my fear of being alone and put it in a song, trying to figure out how it would feel to be this blank canvas. How it feels to know you’ll have to leave many years of resolute love behind. How i was hollow and ready to be filled with anything before i met you. How i’m as hollow as before and that nothing has changed – there’s still an end. But there’s also some meaning in the distance between now and then. Pieces and fragments that i kept and that i’ll treasure until the inevitable end. Listen on Spotify or on Soundcloud. Elder Flower has also printed bags and if you love the song to bits and pieces, don’t hesitate to buy it from our webshop or on iTunes.